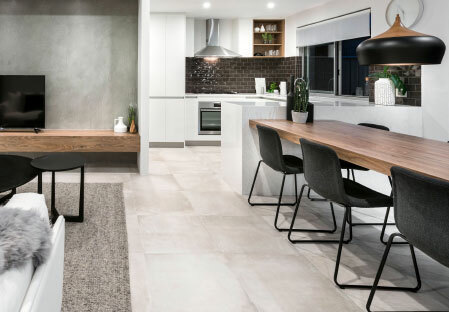 Enjoy soaring ceilings over 5 metres high, light-filled, super-functional open plan kitchen in B1 Homes’ new Manhattan-inspired 2 storey homes. Stretch out without stretching the budget. 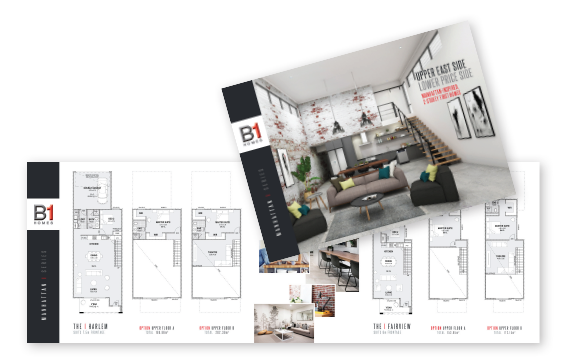 Get that Manhattan lifestyle right here in Perth with B1 Homes Manhattan Series. 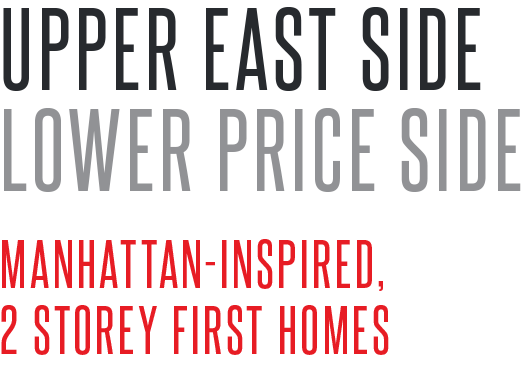 These modern 2 storey homes give you a slice of the Upper East Side with the lower price side, proving that you don’t have to have a New York budget to have that New York style. Looking for a stylish, trendy, up-town look for your first home? The Manhattan Series lets you show off true brownstone vibes with gorgeous brick feature walls throughout. Urban-chique never looked this good (or affordable). 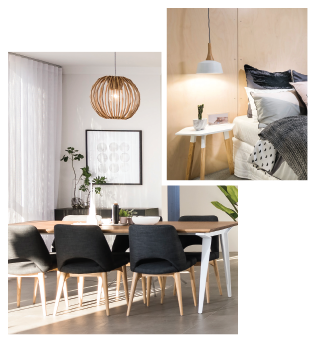 Make your home the talk of the town – both in Perth and New York! 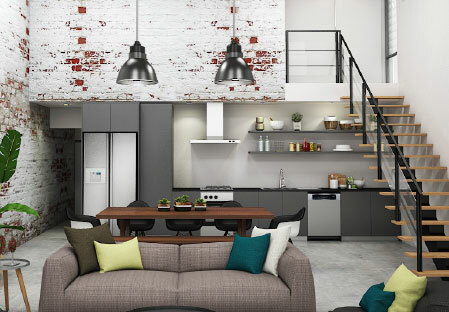 The Manhattan Series range of custom built 2 storey homes offer compact, space-saving loft living for the modern trendsetter. With soaring ceilings over 5 meters high these narrow-lot homes are far from feeling cramped, and a light-filled open-plan floorplan means you’ll have all the room you need to stretch out without stretching the budget. Ready to escape the rent trap and life a landlord free life? B1 Homes are the best home builder in WA and are ready to help you start living rent free today. 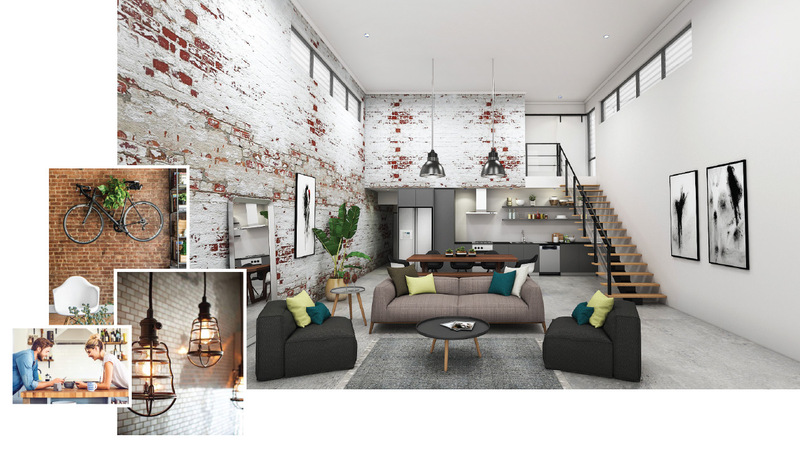 Try our free Rent Converter to see how you could turn your weekly rent into an amazing Manhattan Series two storey home and start living that New York life today! * Conditions apply. All images are for illustrative purposes only. All plans are not to scale. The pricing provided may vary and are accurate at the time of publication.